In the interior of this historic building, the visitor will be impressed by the painted ceilings, the white marble floors and the marble staircases. The discreet furnishings, the hand made carpets and authentic paintings contribute to the creation of an environment which is restful in its planned simplicity and in the comfort it offers. ?ne of the joys of Villa Andromeda is the huge all green garden, with its incredible variety of plants, which surround the hotel. There are flowers in bloom, venerable trees, and in a clearing, the swimming pool, waiting to offer guests its cool waters on the hot summer days. The swimming pool area, with comfortable seats around it beneath the parasols, is a perfect place to enjoy the Villa Andromeda breakfast, or perhaps later a drink from the open-air bar. 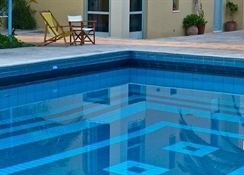 The swimming - pool is also ideal in the evening, as the colours of the sunset paint the sky. 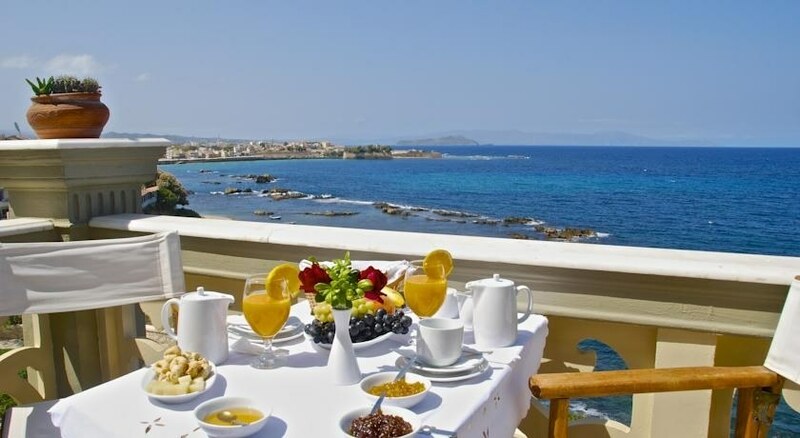 Located in the Halepa district, the Villa Andromeda Chania is in a quiet area that’s a short stroll on the Promenade to the Old Venetian Harbor, rich with Cretian history and architecture. The busy center of Chania is close by and has restaurants, markets, boutiques and craft shops. Famous for its nightlife, guests will find tavernas, trendy bars and ouzo shops. Don’t miss Agora Square, the Archeological Museum and the Folklore Museum. Beach lovers should visit Nea Chora and Elafonisi beaches for sun, sand, surf and jet skiing. 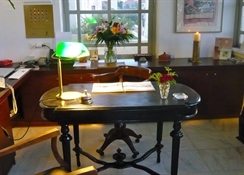 Hotels in Chania are well-positioned for those seeking day long excursions to Minoan Crete, Crete’s countryside, Samaria Gorge, Chrisoskalitissa monastery or nearby Greek islands. 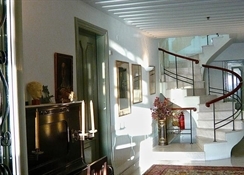 The Villa Andromeda Chania is approximately a 30-minute ride by taxi from Chania International Airport. 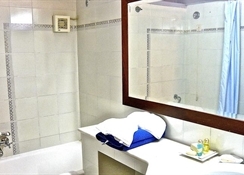 Room Service, Air Conditioned, Non-Smoking Rooms, Mini Bar, Cable / Satellite TV, Coffee / Tea Maker, TV, En suite, Private Bathroom Swimming pool, Garden, Pool Outdoor Business Center, Concierge, Direct dial phone High-speed Internet is available at this hotel. Wireless internet on site.Parking is available.